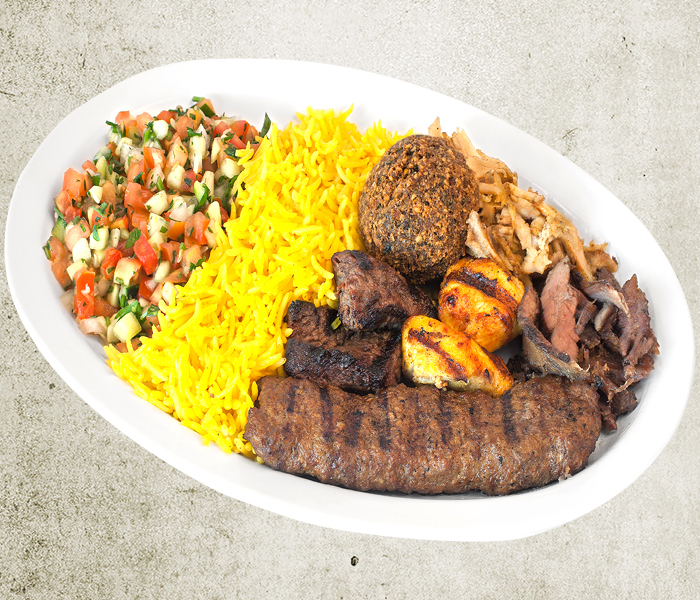 $6.99 Special - Comes with Shish Kabob, Shish Tawook (Chicken Kabob), Kefta Kabob, Falafel, Jamrah Salad, Basmati Rice, Pita and Garlic Sauce. 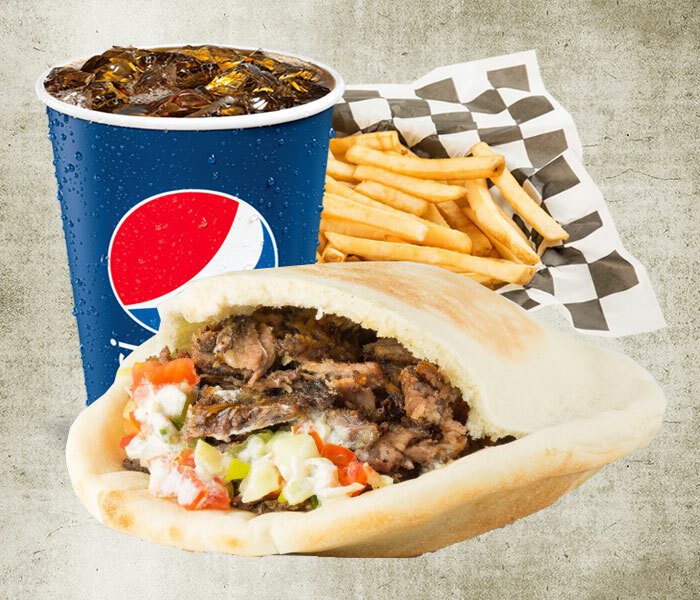 Falafel Deal (1=.50¢ or 1dz =$4.99). 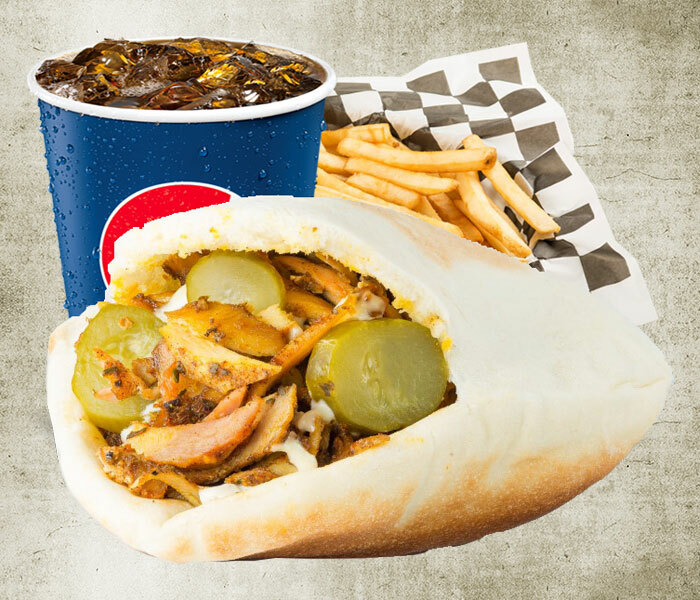 Falafel is a traditional Middle Eastern food, commonly served in a pita, which acts as a pocket. 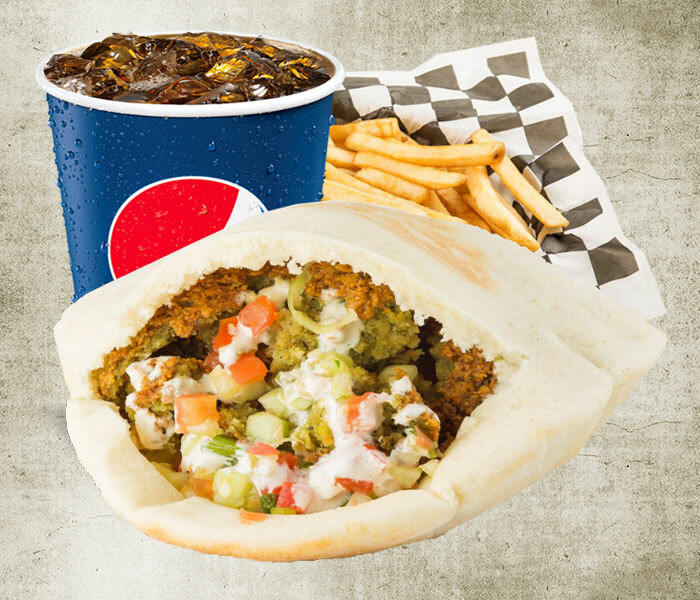 The falafel balls are topped with salads, pickled vegetables, hot sauce, and drizzled with tahini-based sauces. 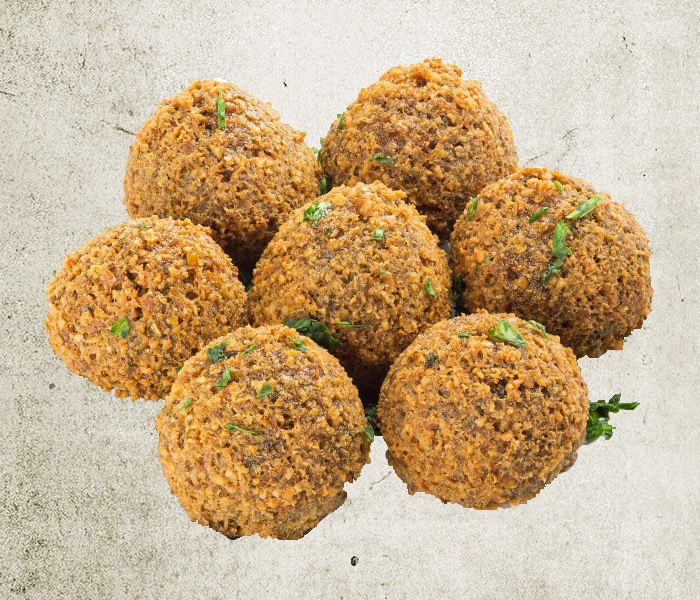 Falafel balls may also be eaten alone as a snack or served as part of a meze tray (assortment of appetizers).